In the aftermath, he totally moved away from his 'extremist' phase and even nationalism, as he contemplated an association of free nations as the great federal-idea. By the time he returned from UK, the leadership of freedom struggle was took over by Gandhiji and his non-cooperation movement. Pal's open criticism of the non-cooperation movement led by Mahatma Gandhi caused him to lose popularity amongst the Indian population, and he retired from active politics in 1925. 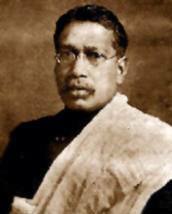 Bipin Chandra Pal died in Calcutta on May 20, 1932.